Don’t forget to keep your eyes and ears open all the time! So you don’t miss out if you ever bump into your beloved celebrity. Have you ever encountered your favorite musician but didn’t recognize them at first glace? 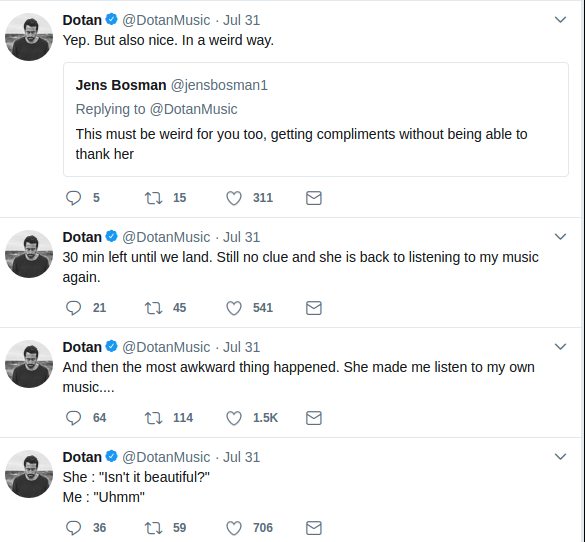 Something similar happened with this girl, except she didn’t recognize her favorite singer at all! 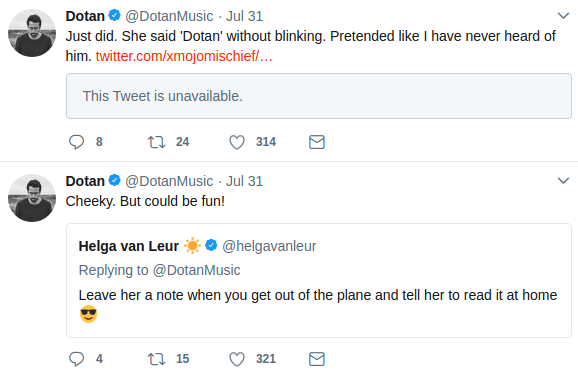 Yep, that’s right; Famous Dutch singer Dotan Harpenau was traveling on a plane when he met a fangirl who did not quite know who he was, even though she was totally crazy about him. 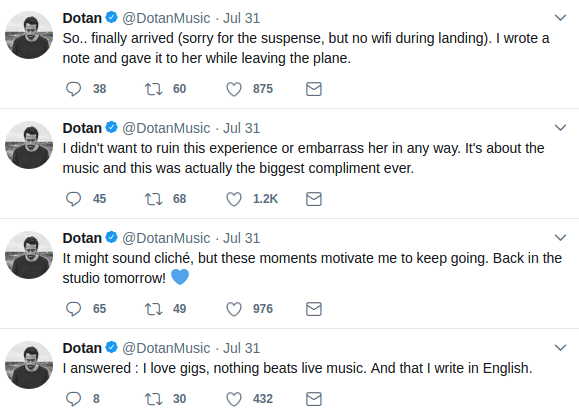 He shares all about his hilarious experience on his Twitter account so check it out. 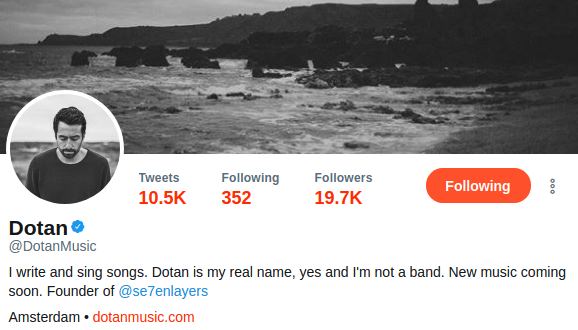 Here’s a peek at his account. That’s quite a fan following he’s got! 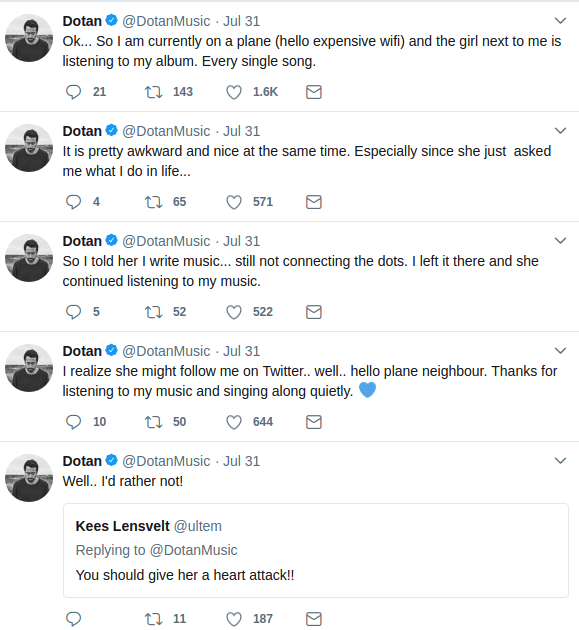 He updated his status every once in a while, letting everyone know about the girl he met on the plane who supposedly adored him and his music but didn’t recognize him in person. Oh, this is gonna be so much fun! So this is how it started. 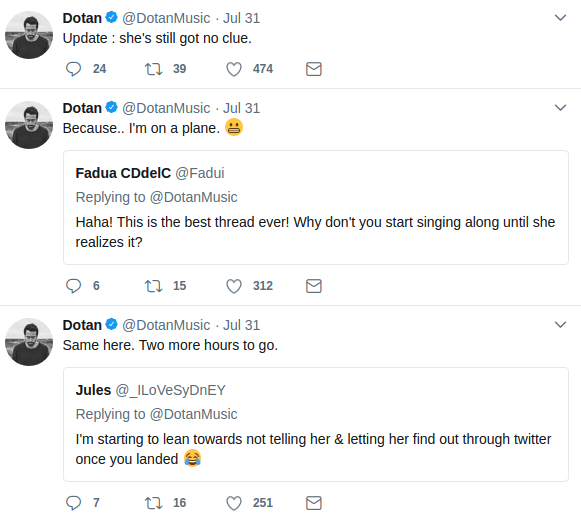 While he updated everyone about his eventful journey, other fans and followers kept giving him suggestions about telling her. And he did take some advice. 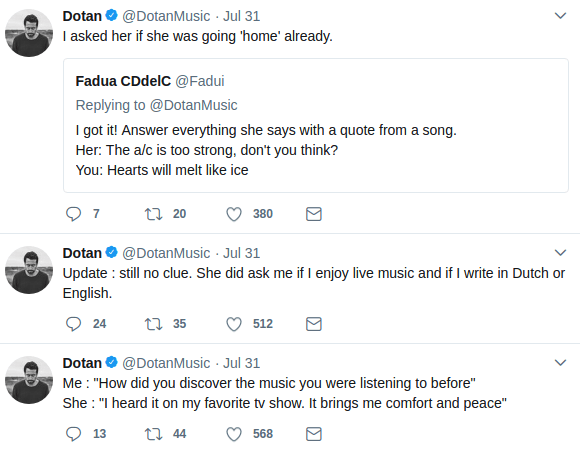 To no one’s surprise, when he asked her about her favorite musician, she told him his own name! Still can’t believe she was so unaware of him. Oh the poor girl. She would hate herself for the rest of her life; knowing she met her heartthrob and didn’t even know it at that time. Pretty unfortunate, I must say. Could it get any more awkward or weird? Finally! 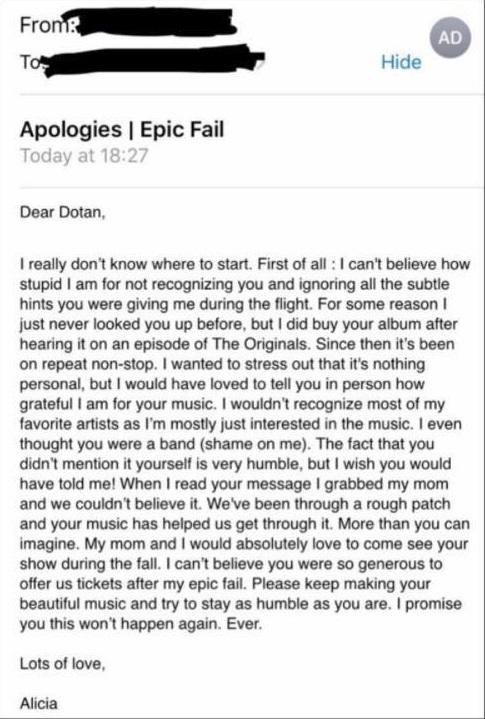 Don’t you just wish we could find out more about what happened once the girl read the note and how she reacted to it? Well, wish no more! Check it out; she wrote an email to him. It’s absolutely beautiful and so emotional. Could she feel any worse? I don’t think so. So that’s that. I’m sure it’s an amazing experience for any celebrity themselves to meet their fans but this was a whole different story. Don’t you agree? Let us know what you think about this post and don’t forget to share!